Overwatch League action returns to the centerfold this week with the first day of competitive play set to start this Thursday, February 14. With this years format, teams are competing four days each week in four week splits that are once again divided into four stages. Day One of the affairs will feature some key heavyweight clashes between some of the absolute best teams the league has to offer. Whether you’re a fan of London, Philadelphia, New York or Seoul, there’s no shortage of talent from any of these rosters, and the gameplay will surely live up to the hype. To start off the 2019 OWL Season, Blizzard are giving us a treat by opening up with a Grand Finals rematch between London Spitfire and Philadelphia Fusion. While both teams made some changes to heighten the depth in their squad, the starting lineups remain relatively intact even with the promising youngsters London have added. Depending on chemistry, London could have a really easy or surprisingly complicated day at the office. Fusion regularly relish the position of underdog and they will once again use these lack of expectations to hatch a plot in order to take games off their opponent. London Spitfire should walk away from this match victorious, but not unscathed. The last matchup up of the night will feature two of the most hyped Eastern teams as China’s Shanghai Dragons and Hangzhou Spark do battle. Hangzhou Spark have been murmured to be a ‘scary’ team on the scrim circuit with their excellent results. There’s a high chance that Hangzhou can make some noise by taking a win off the newly reformed Dragons. Shanghai have also built a reputation contrary to their Season One exploits with their offseason acquisitions. Taking a large chunk of what was the second best team in Korea will likely boost their chances of success. With a new team direction and a slew of high level players to push them over the edge, this game could turn out to be a bloodbath that we won’t soon forget. Shanghai Dragons should secure victory if all goes according to plan. New York Excelsior kick off their 2019 campaign against the Boston Uprising on Thursday. While NYXL did shake up their roster, the amount of changes don’t even come close to the renovation that took place in Boston this offseason. New York started off last season strong and they will look to repeat that, and then some, over the course of this year. Expect a swift stomp on the side of NYXL, if Boston Uprising manage to take a game that would be a compliment to their efforts. 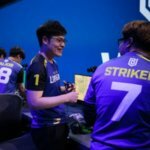 In another heated matchup to complicate the evening, LA Gladiators and Seoul Dynasty duke it out to see who really won out in the whole Chan-hyung “Fissure” Baek debacle that consumed their season last year. LAG made some stellar changes to their roster by adding Chang-hoon “rOar” Gye and Gui-un “Decay” Jang to fill the void Fissure left. Even still, Fissure has a reputation for making his former teams lives extremely hard during the regular season. After leaving London, he won every single game against them as a member of Los Angeles Gladiators. Now, he will look to make the same kind of impact as a member of Seoul Dynasty, and he has all the personnel necessary to do so. 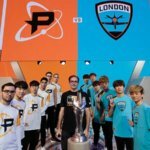 OWL contract negotiation window opens | Where will the biggest stars go?